We all can — and need to — learn from our mistakes. But we can also learn from others when we’re open to new ideas and are willing to ask for help and guidance in unfamiliar territory. 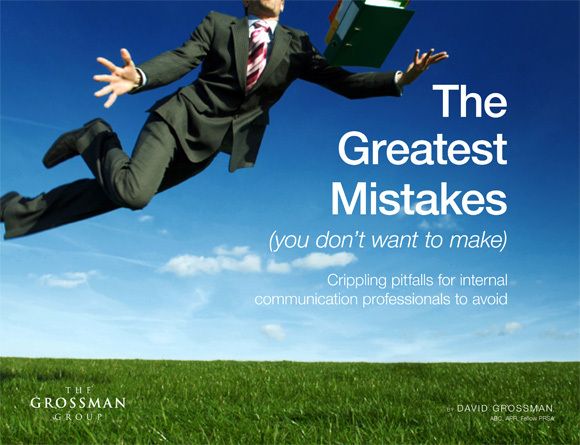 In The Greatest Mistakes (You Don’t Want to Make), communications experts share their knowledge for the ultimate resource of inspiring takeaways and actionable tips for effective leadership and communication for 2011...and years to come. This compilation will save you time and energy, and improve your results — not to mention win you applause from the leaders you support. You might even want to take a bow now...for how much smarter you’re about to become.